Vacation Rentals!! We have "Off Season" Rates from September 4 to December 19 (excluding holidays). Come for a visit during our quiet time of the year! 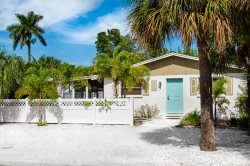 Whether you are just visiting or planning to stay a while, you will find Anna Maria Island the perfect spot for a variety of activities to please any age group. Located on the Gulf Coast of Florida just south of Tampa/St. Pete and North of Sarasota. You will enjoy some of the BEST Beaches in the country on our quaint Island. Anna Maria Island is just 7 miles long with an atmosphere that is laid back and low key. The moderate climate is ideal for golfing, tennis, or any other outdoor sport you enjoy. The beautiful, relaxing environment will keep you returning year after year to enjoy our piece of paradise! 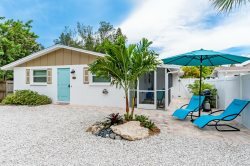 Located in Historic Anna Maria Village, Fran Maxon Real Estate, Inc. is your source for Island Properties and Vacation Rentals. As a licensed real estate brokerage corporation for Florida properties, we have the expertise to assist in Buying, Selling and Renting. 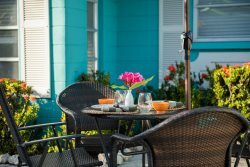 We have been serving real estate needs on Anna Maria Island since 1970. 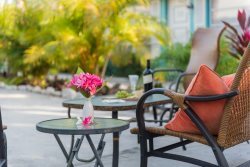 Our associates have many years experience on the island and will provide you with expert and thorough attention in buying and selling. Many island properties are available for you to purchase. For a current listing of Anna Maria Island homes, condominiums, duplexes and lots, please contact one of our associates or search listings online using the Sales link. ASK ABOUT OUR SPECIAL RATES FOR 3 MONTH RENTALS AND LONGER! We have a large inventory to suit a variety of needs, from cute and quaint to large and luxurious. We have something for everyone including waterfront properties and those just steps to the beach. View our on-line rentals using the Rentals link to help you choose the perfect rental for your vacation needs. Let our knowledgeable Vacation Rental specialists assist you in making reservations for your vacation accommodations.